A beautiful Sea Urchin, Hemicidaris crenularis, discovered in Novion Poecien, Angovein, Switzerland. It dates from the Middle Jurassic to the Late Cretaceous, 163 to 140 million years old. It is an extinct genus of echinoderms. 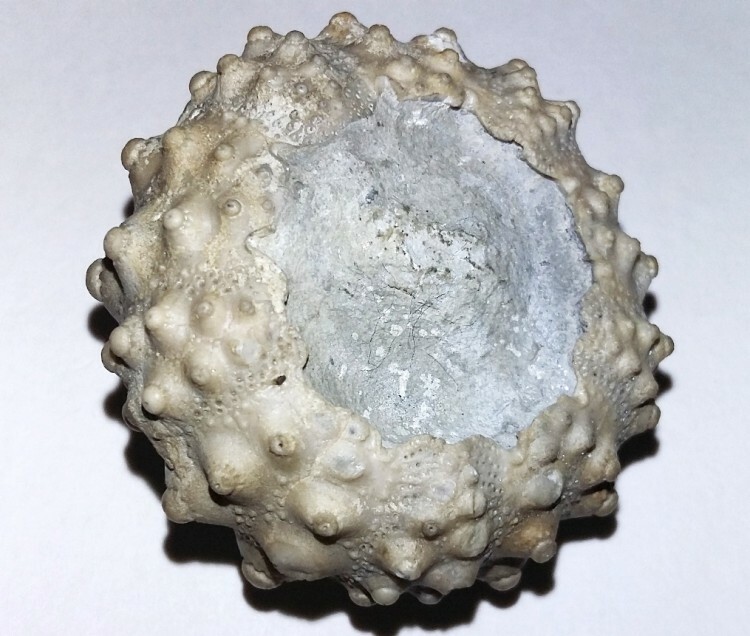 Echinoids are common in the oceans of today, and are prevalent in the fossil record. Echinoids include Sea Lillies, Sea Urchins, and Starfish. 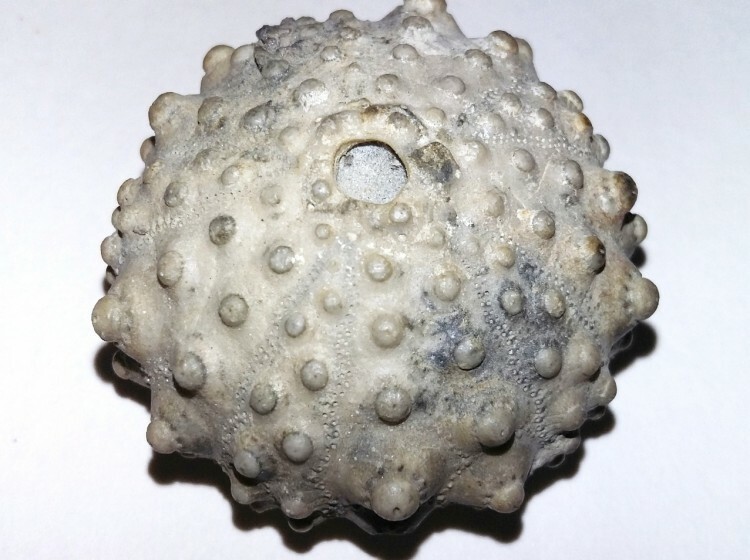 The name derives from the Greek "echin" meaning spiny, referring to their protective spines, and "ooid" (egg-like) in reference to their globular shell. Very collectible, from an unusual location.